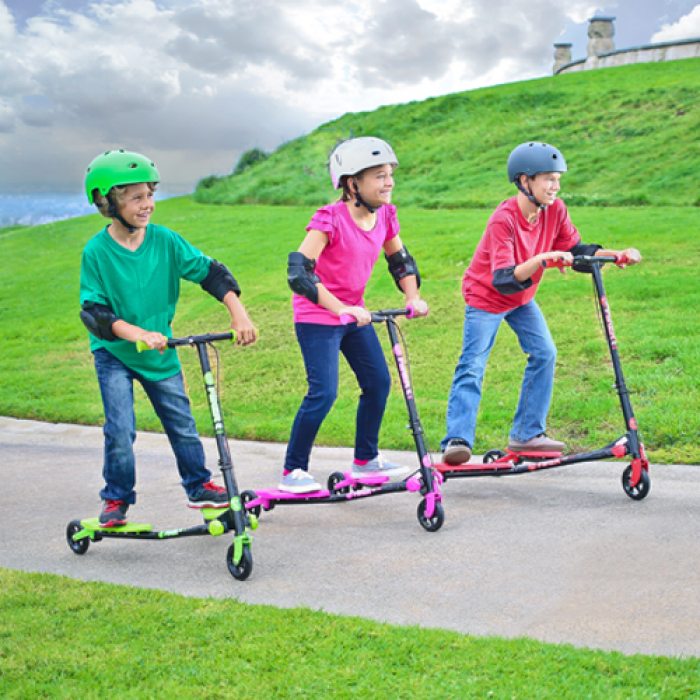 3 wheeled scooter that is suitable for children aged 7 and over. 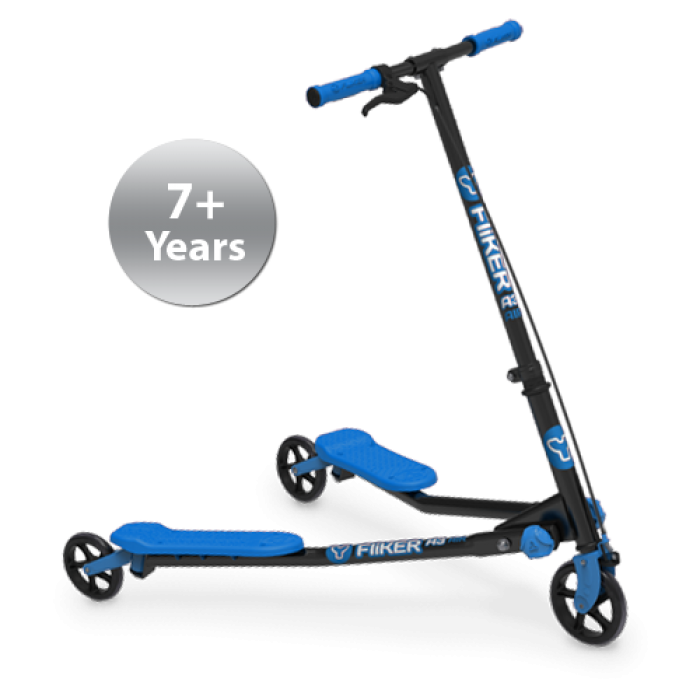 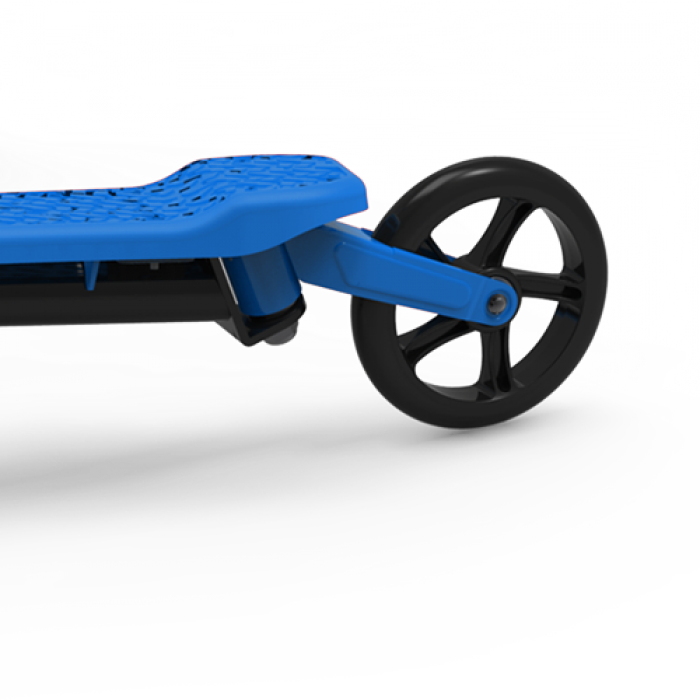 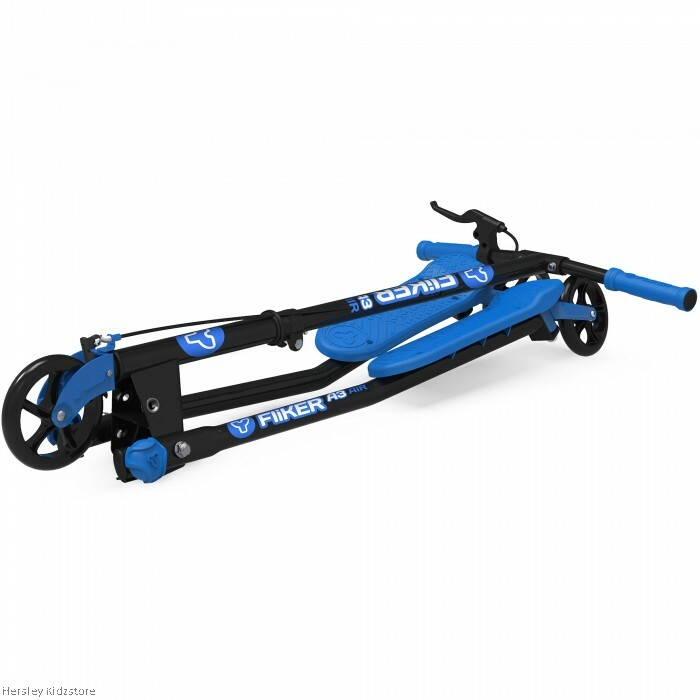 Free-style scooter that performs smooth carving and drifting. 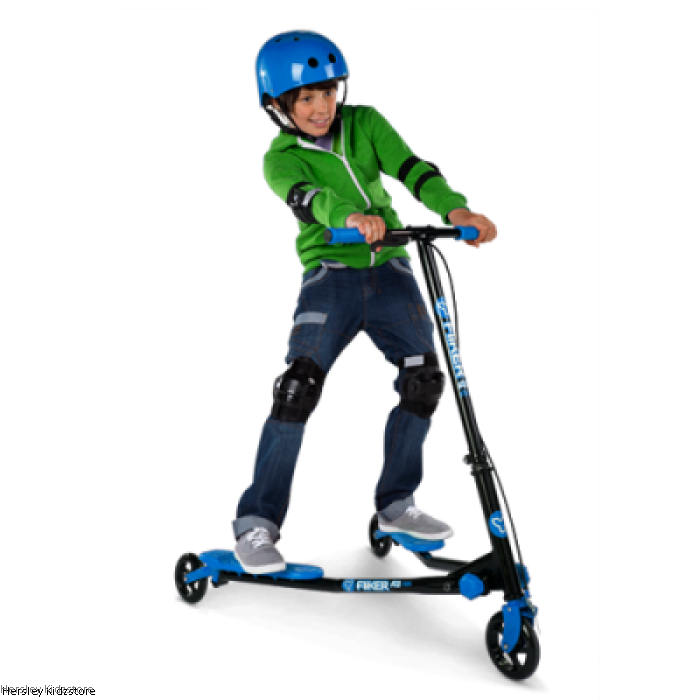 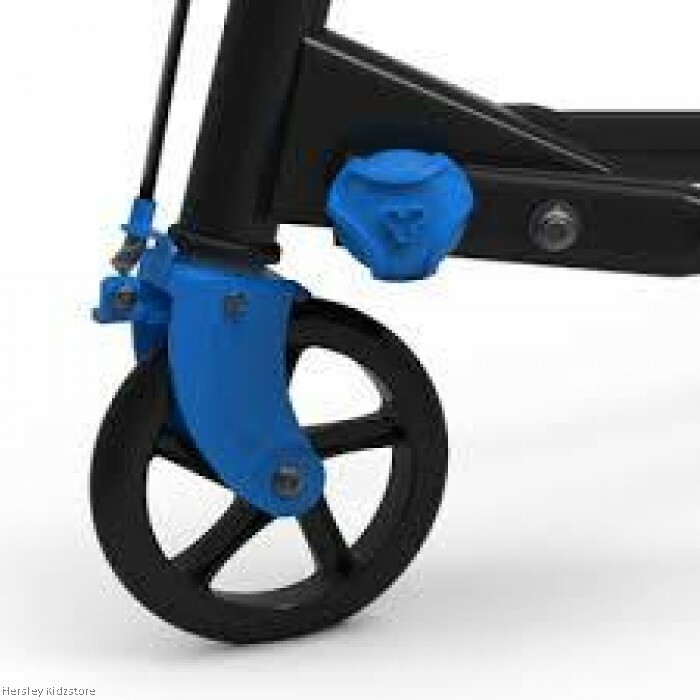 Increased control and ensures a safe, fun ride! 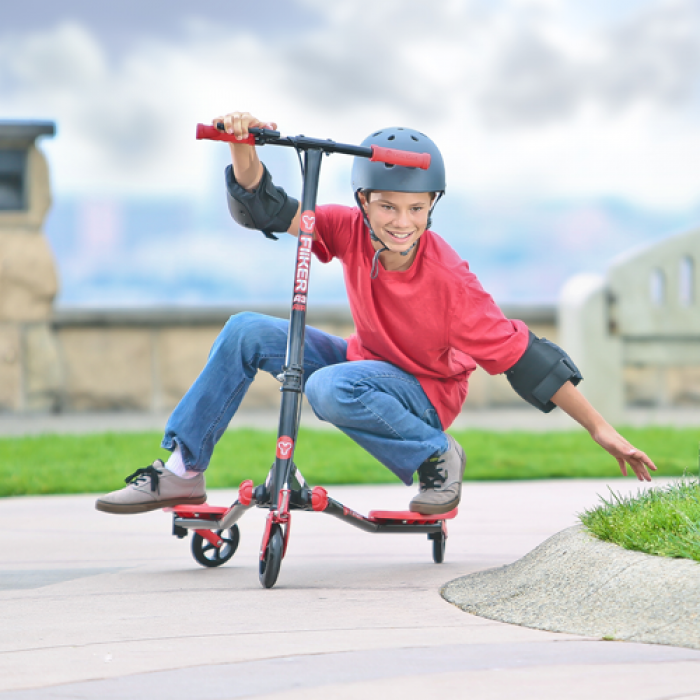 It's twist and stow folding system means it’s ready to go wherever you take it!